It seems that as of late my newest favorite color has been pink. 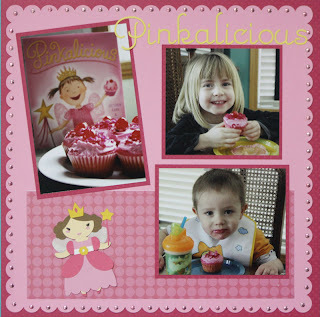 Last week I posted a pink cupcake card I had made after reading the book 'Pinkalicious'. 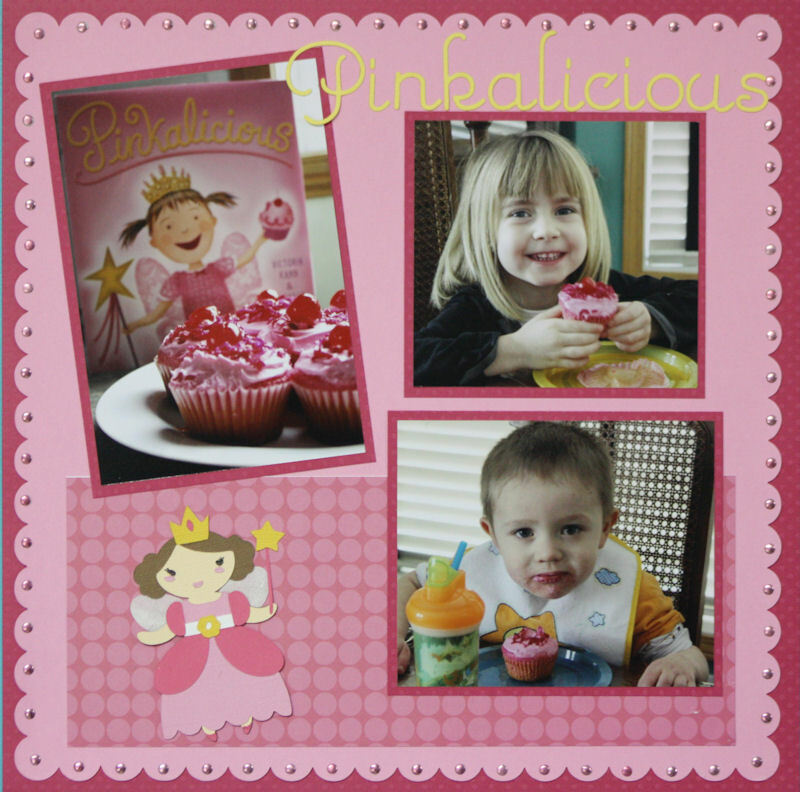 Well I finally got my pictures from that day developed and just needed to make a Pinkalicious layout. I couldn't resist the temptation to use pink either...lol. I really had fun creating this layout. I cut out the title using Quickutz's Sugar Sweet font and the princess using my Cricut and the Once Upon a Princess cartridge. I like how she turned out and kind of resembles the little girl from the book cover. All around the outside of the pink scalloped cardstock, I placed pink glam rocks from Imaginisce. I had small scrap of pink patterned paper from the Snow Much Fun line from 3 Bugs in a Rug, which I added to add some visual texture. Off to my space to work on my next creation!